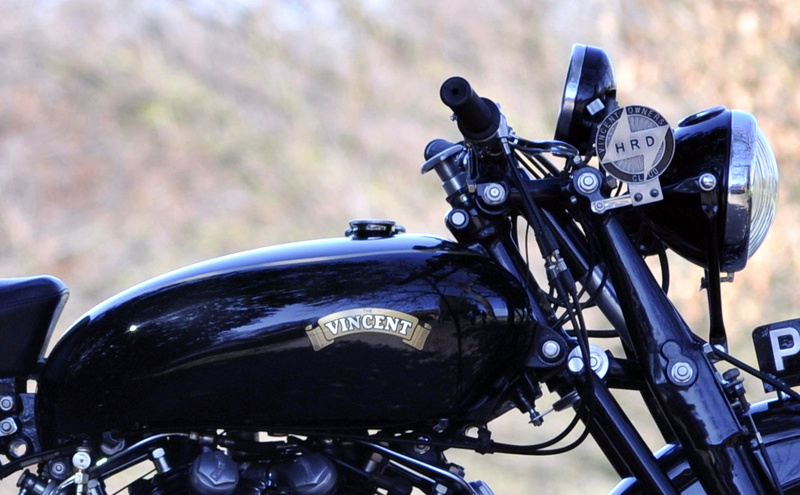 Production of Vincent’s much altered Series D range began in 1955, but for the first couple of months the Stevenage firm was still turning out the Series C, approximately 287 of which were manufactured early that year. 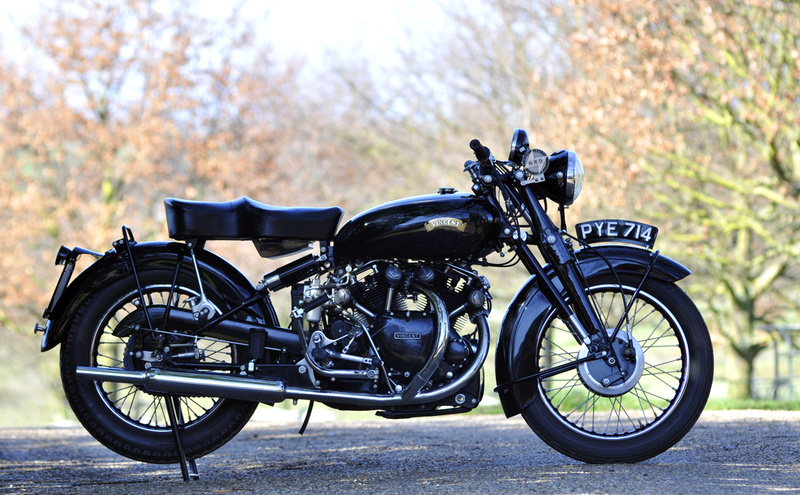 Dating from February 1955, this matching numbers machine is the final Series C Black Shadow produced (confirmed by the Vincent Owners’ Club) and thus of exceptional significance in the history of the Vincent motorcycle. 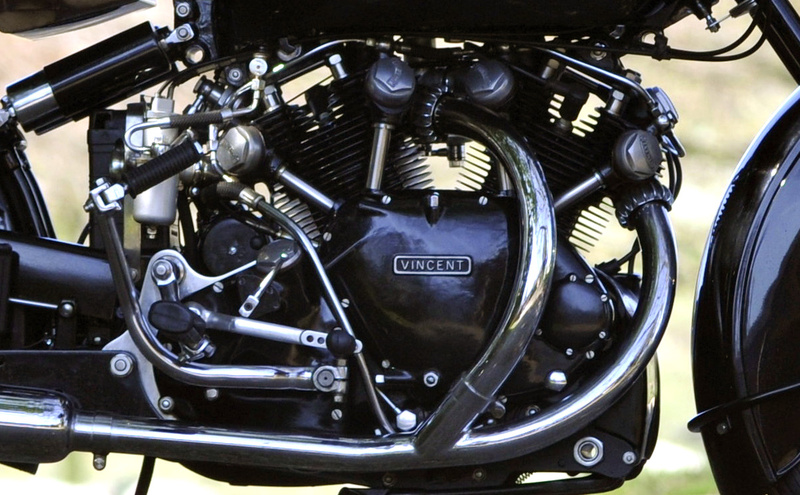 Big thanks to Bonhams (Leonora & Julian) for sending these large photos over.